As part of the Frontier/Tippie Sustainability Impact Competition, my team and I were chosen as finalists to implement a proposed sustainable project on the University of Iowa campus. 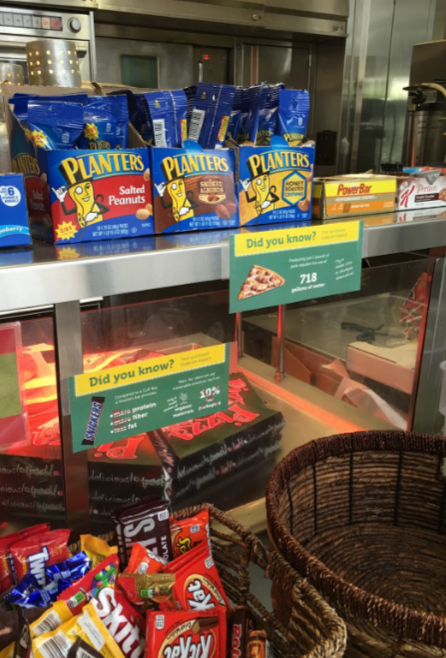 University of Iowa consumers are unaware of the impacts their purchases make on the environment and therefore do not make informed, sustainable, and healthy purchasing decisions at campus cafés. We were given budget approval to implement tools over a 4-month period that would increase the demand and awareness of these products at a college convenience store. Increase awareness of the negative environmental impact students, faculty, and staff are making during purchase points at University of Iowa cafés. Decrease consumption of unsustainable and unhealthy products and/or increase consumption of sustainable products throughout University of Iowa cafés. Provide reasoning and solutions for increasing the amount of sustainable and healthy products offered within University of Iowa cafés. Uphold a standard of developing sustainable initiatives on the University of Iowa campus and to create a positive impact on the surrounding community and environment. Our team created and implemented 6 decision-making tools displaying visuals and information about environmental impacts of specific food items. These tools were displayed at point-of-purchase locations within the college in efforts to educate consumers on their food item purchases. We then distributed 2 campus-wide questionnaires using Iowa Institutional Review Board (IRB) approval to over 2,300 subjects for feedback on perceptions and motivations of food purchasing on campus. Finally, we analyzed survey data and pre-and post-sales data using SPSS and Excel. Increased sales of targeted healthy food options by 2.55%. 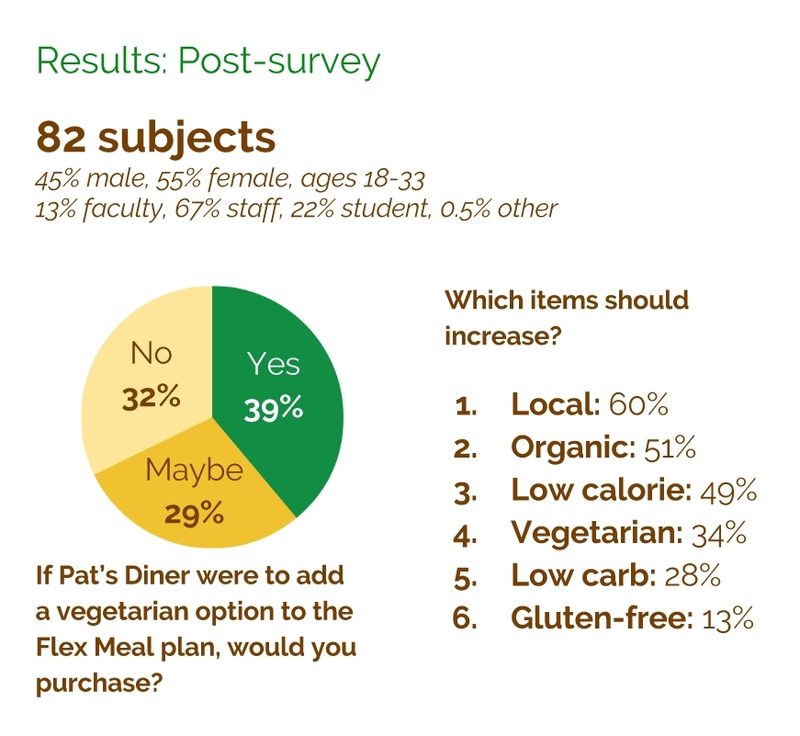 Uncovered through research and analysis that 39% of subjects would purchase a vegetarian option if it were included in a meal plan, and 29% would maybe purchase the option. Illustrated a need through consumer feedback for campus cafés to increase local and organic food items. Met and collaborated with college administration to discuss options to increase vegetarian and healthy options available for consumers in the college's café.